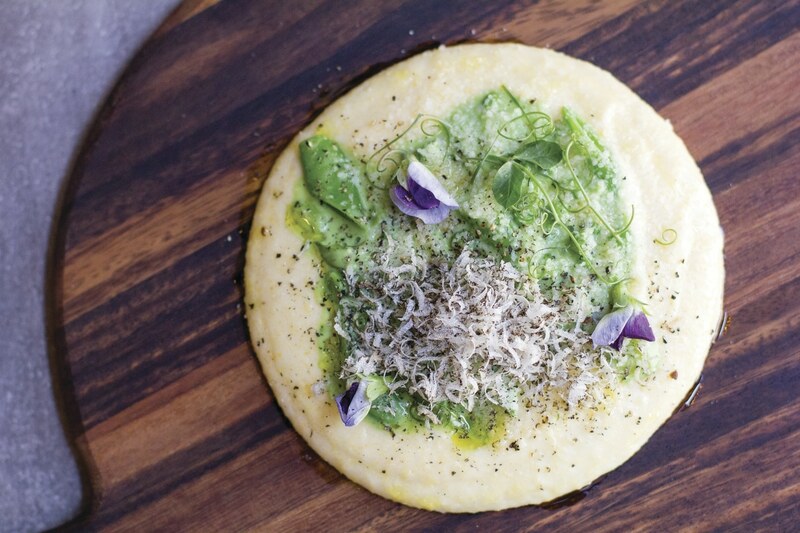 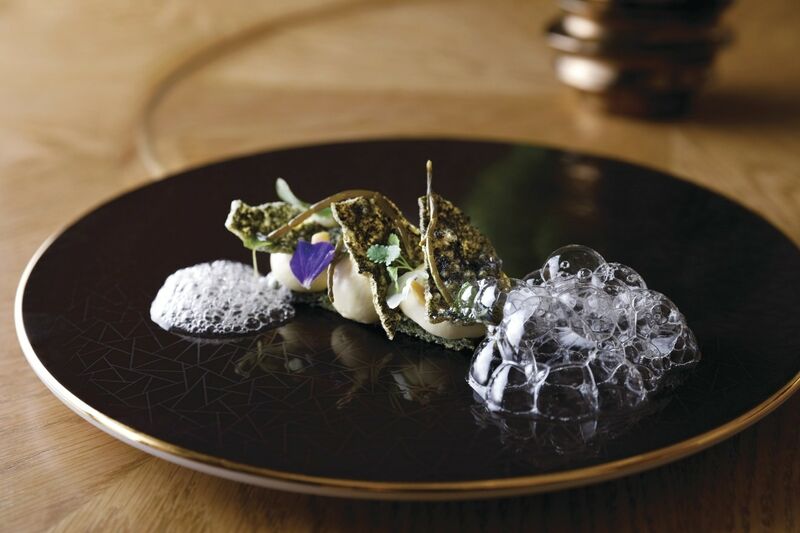 Chef Matthew Accarrino's fresh cooking style combines West Coast attitude with Italian tradition, as seen in alla spianatoia, a polenta topped with leek, peas and summer truffle. 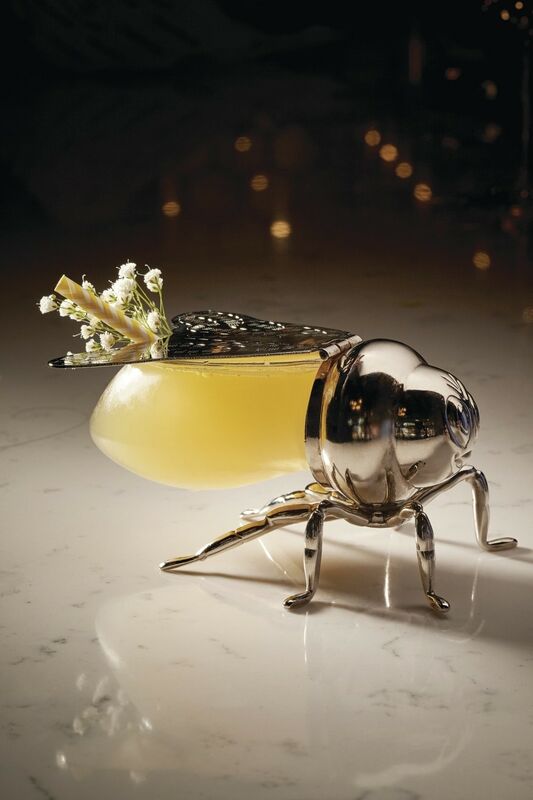 The Bee's Knees cocktail is both sweet and savory (and a stunner), with beeswax gin, truffle honey and citrus. 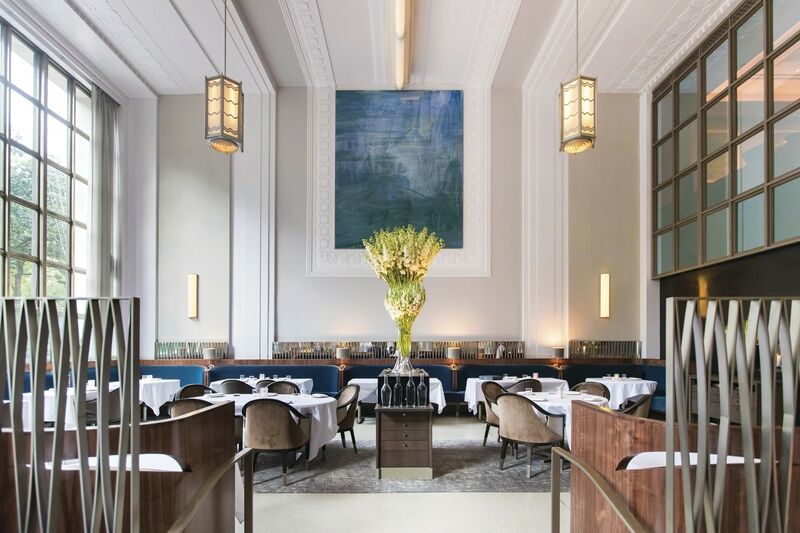 Every detail of the new dining space at Eleven Madison Park has been artfully crafted—large-scale works by Sol LeWitt, Olympia Scarry and Daniel Turner, as well as a monumental chalkboard painting by Rita Ackermann, preside over the space. 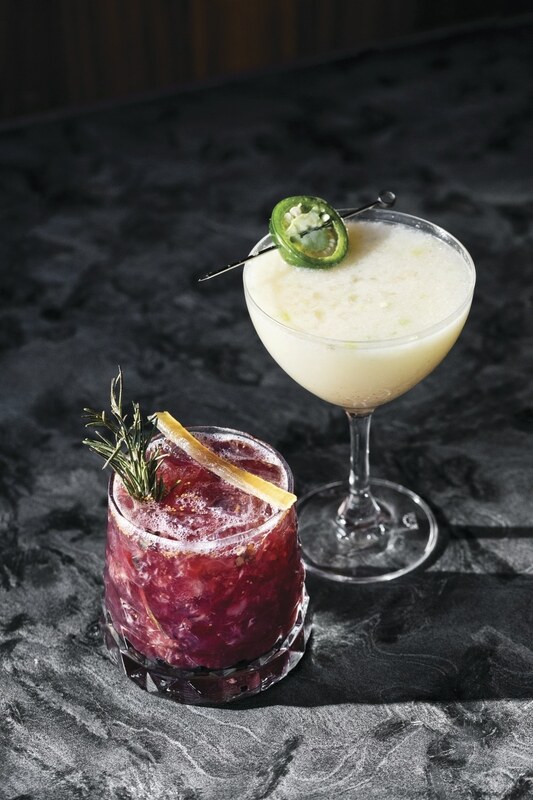 Marché Moderne's cocktail menu delivers on freshness with libations that team herbaceous flavors with citrus notes and top-shelf spirits.